There once was a time when A$AP Rocky was situated alongside Kendrick Lamar and J. Cole as the head of Hip-Hop's next legion of leaders. Last week, TESTING distributed 74,000 first week sales, a 42,000 total drop-off from 2015's At.Long.Last.A$AP and roughly one fifth of the numbers put up by Lamar's DAMN and J. Cole's KOD. Even the pure sales (conventional, non-streamed purchases) were eclipsed by Lil Xan and, more comparable, the Flatbush Zombies. All that's to say, Rocky's relevance is fading as many newcomers aligned with the Trap wave instead of his Cloud Rap aesthetic, leaving the quickly-aging A$AP leader to fend for himself like a NASCAR driver ditched from the pack. 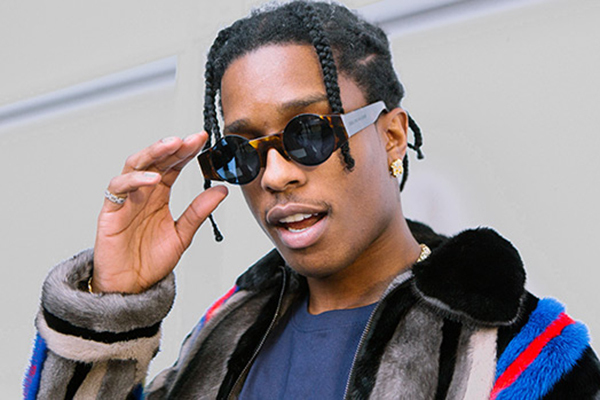 TESTING, as the name implies, assesses potential avenues for Rocky to move beyond his A$AP Mob origins, much like what his contemporary Tyler, The Creator did with Odd Future. He still dons the moniker, despite not a single A$AP member enlisting alongside him, branching even further beyond the Cloud Rap origins that ignited his fame. The end result is one both spotty and fickle. While various conducted experiments seem to be TESTING's motto, as seen on the Memphis Rap of 'Gunz N Butter' and 'Hun43rd,' the chipmunk Soul of 'Brotha Man,' and the psychedelic Alternative R&B of 'Changes' and Purity,' Rocky's third LP begins in familiar territory. After a trial run of bass akin to Big Boi's Speakerboxxx 'Intro,' Rocky appears as the lively, charismatic, and zonked out character he is. Thanks to his magnetic flows and Nez & Rio's filthy banger, 'Distorted Records' marks the high point of TESTING. The intro's successor and lead single, 'A$AP Forever,' doesn't diminish in quality in spite of the over-reliant sampling of Moby's 'Porcelain.' This time around, T.I. and Kid Cudi join Rocky, the former questioning the state of A$AP, drawing similarities to Lamar's explanation of 'HiiiPoWeR' on the now-defunct HiiPoWeR movement. This is the most consistent stretch TESTING will achieve, as the rollercoaster of redeemable moments becomes a head-spinning endeavor. TESTING's not without its missteps though. Including the aforementioned 'Calldrops,' the Skepta-assisted 'Praise The Lord' stumbles out of the gates with a putrid beat that inexplicably attempts to mimic D.R.A.M. and Lil Yachty's inimitable 'Broccoli' with zero charm, and 'Hun43rd' stiffly sandwiches Dev Hynes' (of Blood Orange fame) bedroom wanderlust amongst a taxing fog of Cloud Rap. Even the usually surefire Clams Casino appearance gets grounded in the mud on the jaded and stark 'Black Tux, White Collar.' All things considered, even with the disjointed moments of relapse, it might be 'Purity' that's the most ill-conceived track here. Not in terms of quality as the closer leans towards the better half of the barometer, but really distinctiveness. From tone to content, heart to resonance, 'Purity' operates as a blatant Blonde outtake, drawing particular similarities to 'Futura Free.' 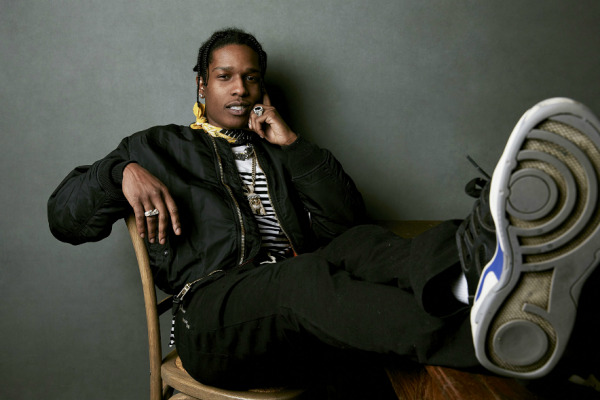 Deciding to conclude his own album with Frank Ocean taking the helm provides analogous indication towards Rocky's slipping confidence, causing TESTING to feel sordid upon its hesitant conclusion. A boisterous emcee uncertain of his own secured style doesn't bode well for sustained significance.